Mayor Rahm Emanuel and the Chicago Department of Aviation (CDA) announced 2018 was another record-breaking year for O’Hare and Midway International Airports combined, with the most passengers served and highest volume of cargo tonnage handled to date. 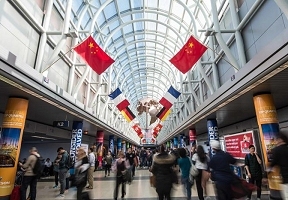 According to preliminary data from airlines, more than 105 million passengers traveled through O’Hare and Midway International Airports last year, surpassing the previous record set in 2017. Also setting records, the total flight operations for O’Hare topped 900,000 for the first time since 2007. 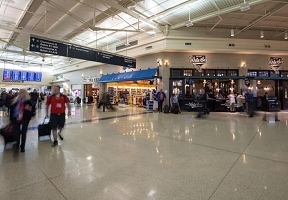 This is according to new data out by the Federal Aviation Administration (FAA), which confirms Chicago-O’Hare has again surpassed Atlanta’s Hartsfield-Jackson International Airport for most departures and arrivals in the nation. O’Hare handled over 83.4 million passengers in 2018, representing a steady 4.5 percent increase over 2017 and the largest year-over-year increase since 2015. Midway served over 22 million passengers, one of its highest volume years to date. These record passenger volumes include a more than 10 percent increase in international traffic fueled largely by O’Hare. Final reports on 2018 year-end performance will be published on the CDA website this spring. For more information on airport performance for O’Hare and Midway, please visit www.flychicago.com.